Nearly 32 million people in America have measurable hearing loss, and more than one third of those people are 65 years of age or older. 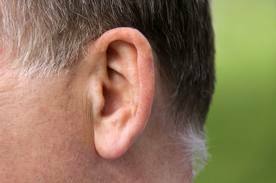 In fact, one’s age is a fairly good predictor of whether and to what extent a person may have hearing loss with the prevalence increasing with age. Hearing loss also is much more common among men than among women. But one fact that you perhaps did not know is that hearing loss also is linked to dementia. What, you say? Did I hear you right? Yes, a researcher named Frank Lin, MD, at the Johns Hopkins University School of Medicine, has reported on the link between hearing loss and one’s gait, and on the incidence of falls and most recently on the ties between hearing loss and dementia. Dr. Lin and his associates have been sorting through data collected over a long time and have found that people who have difficulties also have higher incidences of cognitive issues. And people with cognitive issues like dementia also are more likely to have hearing difficulties. In other words, they do not yet know which causes which. One explanation is that people who have difficulty hearing are not as socially active – maybe even isolated – and so their mental processing tends to lag. Their second explanation is that people with trouble hearing are straining so hard to just hear the words that their ability to actively listen and respond becomes more diminished over time. Imagine that you are struggling so hard to hear that by the time you have deciphered what someone has said they already are on to the next sentence. It could be very confusing. But potentially even more troubling, it may be that some common issue is causing both hearing loss and cognitive loss. Is that common issue a genetic defect, something in one’s space, something about people’s hearing aids, or something else entirely? The scientists are still at work, but the findings offer a cautionary note. If you are a caregiver to an older adult or anyone who begins to show signs of diminished hearing, get immediate help for a clear diagnosis and then an intervention. We tend to think that a physician should catch a hearing problem, but that is far from the case with only about 13% of physicians routinely testing for hearing capacity. And don’t forget that a physician’s office tends to be a relatively quiet environment where patients can more easily hear what the doctor says because the background noises are minimal or nonexistent. Depending on which of the three possible explanations of hearing loss and dementia you accept, getting your loved one’s hearing check will help their hearing, their social integration, their mental health or all three!